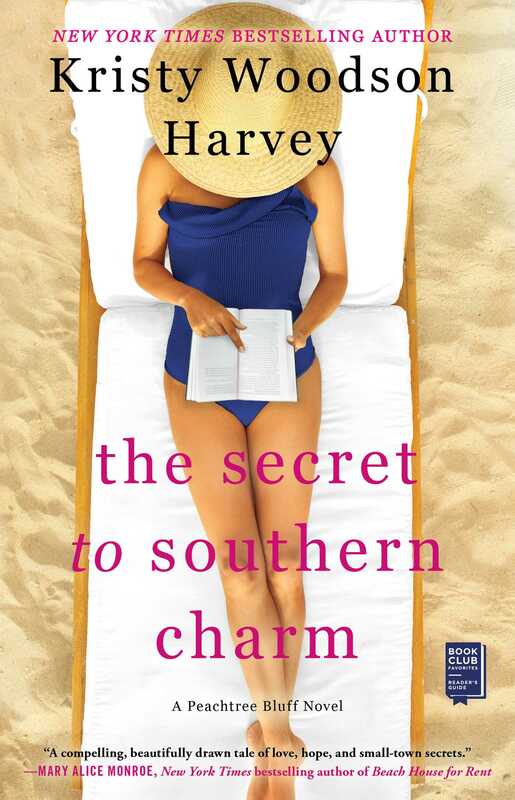 Harvey’s signature warmth and wit make this a charming and poignant story of first loves, missed opportunities, and second chances and proves that she is "the next major voice in Southern fiction” (Elin Hilderbrand, New York Times bestselling author). This readers group guide for The Secret to Southern Charm includes an introduction, discussion questions, and ideas for enhancing your book club. The suggested questions are intended to help your reading group find new and interesting angles and topics for your discussion. We hope that these ideas will enrich your conversation and increase your enjoyment of the book. When Sloane Murphy hears that her husband, Adam, is MIA, she breaks down. Thankfully, she finds herself in the care of her sisters, mother, and grandmother in her family’s home in Peachtree Bluff, Georgia, where the sky is blue, the breeze is fresh, but naturally—nothing is ever as simple as it seems. Sloane must learn how to pick herself up and out of bed, be the mother she needs to be for her two sons, and prepare to pick up the pieces in case Adam never returns. Meanwhile, her mother Ansley’s affections with her teenage sweetheart grow more complicated when he forces himself into her life in an unexpected way. There’s never a dull moment in the Murphy household, and book two in the Peachtree Bluff series proves it! 1. There are three generations of mothers, and likewise, many styles of parenting in this novel. Discuss the different relationships that exist and consider the relationship between Sloane and Ansley or Sloane and her grandmother, and how Sloane and Caroline view parenting. 2. Discuss the title The Secret to Southern Charm. Secrets abound in the novel: Sloane neglects to tell Adam she uses an IUD and doesn’t truly want kids; Jack is Sloane and Caroline’s father, yet Ansley won’t tell them; Ansley’s early financial woes that her daughters know nothing about; and Grammy’s decision to hide her illness from the family. Discuss what other secrets exist and how they impact the characters in their own ways. 3. “Grammy had said earlier that the accent was the secret to Southern charm. But she was wrong. This putting on a brave face, carrying on, helping others, being kind and humble and giving, believing with all your heart that the world could be a better place and that you could make it that way . . . that was Southern charm. Looking around at these women who embodied those qualities so well, I had to think that maybe Grammy was wrong. Maybe it wasn’t a secret at all” (page 240). How do you interpret the title and Grammy’s thoughts on what the secret of Southern charm is? After reading the book, do you think this is what Southern charm is about? Why, or why not? 4. Ansley mentions her longstanding desire to decorate the home next to hers. When her new neighbor ends up being her former lover, Jack, she offers her service to him. How does this decision play out for Ansley? Do you think it was wise for her to pitch to Jack? Why, or why not? 5. Sloane describes her marriage to Adam as love at first sight. Do you agree with Ansley that their engagement moved quickly? Do you think this intensity so early on in their relationship creates any sort of bond for their future? Why, or why not? 6. Take a moment to think about the different women in the novel. What does it mean to be a mother, a daughter, a sister, or a wife in the book? Discuss how the relationships are different or similar. Is Ansley the same type of mother her own mother was? Is Sloane like Ansley? How would you describe Sloane and Caroline’s relationship versus Sloane and Emerson’s? Lastly, discuss the difference in marriages that exist: Sloane and Adam versus Caroline and James. Recall Caroline’s story from Slightly South of Simple to help with this discussion. 7. “Sometimes being a mother isn’t about having to fix it. Sometimes, the best thing a mother can be is there at all” (page 13). Discuss this quote in the context of Ansley’s treatment of Sloane in the first half of the book versus her own mother’s “help” in her own time of need. Do you agree with their behaviors and decisions? Do you relate to either relationship? 8. The concept of a home versus a house is an underlying theme in the book. Discuss how the family home in Peachtree Bluff is a home rather than a house. 9. On page 181, Grammy says to Sloane, “I’m going to say this. I love you, Sloane. You’re a beautiful, talented, artistic bright light. It has bothered me for years that once you married Adam, you became this . . . ‘Stepford wife.’” Based on what you’ve read about Sloane’s marriage and her life after it, do you agree with her grandmother? Why, or why not? 10. “I’ve always been very good at being numb. I’m the doer, the fixer, the one to take charge. It keeps my mind off of what is actually happening so I don’t have to face the sadness” (page 199). What does Ansley mean by this thought? Do you think she hides from her feelings in the book? If so, in what ways? In which circumstances? 11. Take a moment to reflect on the events in Slightly South of Simple, the first book set in Peachtree Bluff. 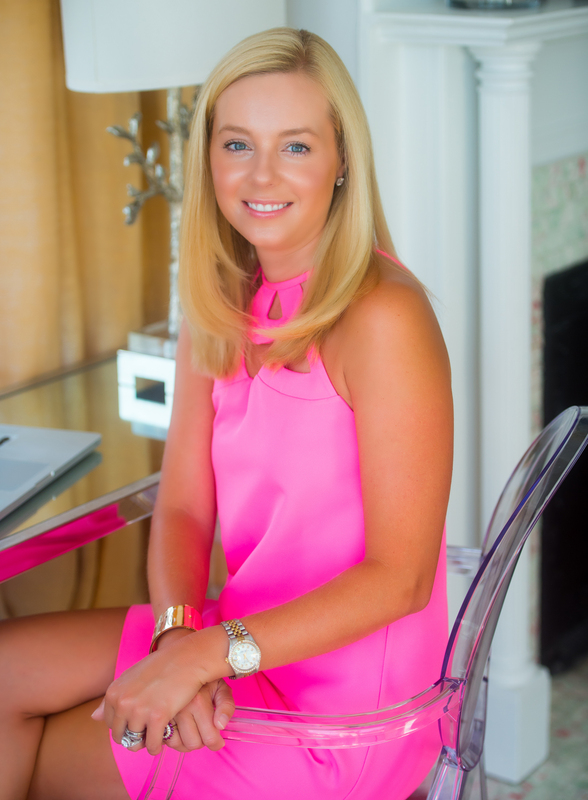 Although it is focused on Caroline’s experience, would you say the characters have changed at all in The Secret to Southern Charm? How so? 12. There are a lot of thoughts on memories in the book, either in creating new ones (Grammy’s desire to take a trip to Starlite Island) or reminiscing on the past (Ansley’s early years with Jack). How do the characters preserve memories or describe important moments? What would you hope your family would remember about you on your last day? 13. Which of the characters do you relate to the most? Is it helpful to read new points of view in each Peachtree Bluff novel to understand the Murphy family? Can you make any predictions for what comes for the Murphy’s or Emerson? 14. Sloane describes their life on the army base in a few chapters. Do you have any familiarity with living on an army base or have you had friends/family who have done so? What do you imagine it would be like? Have you had friends or family who have married military personnel? In what ways do you think their lives are similar to Sloane’s? 1. For your next book, consider reading a memoir about being an army wife such as Unremarried Widow by Artis Henderson. Do you see similarities in Sloane’s and Artis’s stories? 2. If you live near a lake or a waterfront, consider taking a tour of the area on a sailboat as the sisters do to drop Vivi off at camp. 3. As a group, go to your local painting party shop. Try your hand at some conceptual art as Sloane does or try a paint by numbers-style class. 4. Connect with Kristy Woodson Harvey on Facebook, Twitter, and visit her official website at: KristyWoodsonHarvey.com. Consider inviting her to Skype in with your book club. – Mary Alice Monroe, New York Times bestselling author of Beach House for Rent. "I had tears in my eyes by page five and was unabashedly sobbing by the end of the final few chapters, but it was the story in between--the laughter, the pain, the hope, the complicated questions about fate and family--that kept me reading this inspiring, sweeping novel long into the night. The characters will leap off the page and into your heart, and you'll find yourself rooting for them so fervently, you'll forget they're not actually real. Kristy Woodson Harvey has delivered another masterpiece with the second book in her beautifully Southern, evocative Peachtree Bluff series. Let's just say that this one had better have a sequel too, because I'm not ready to leave these charming ladies behind." "An engrossing contemporary tale that readers of Southern fiction will enjoy...Harvey is proving herself to be an author to look out for in Southern fiction." "Harvey’s signature warmth is infused throughout every page of this moving, heartwarming book. She weaves together the stories of these strong women with humor and grace, all the while pulling readers ever deeper into a family and community that feels real enough to touch. Brimming with optimism in the face of life’s most difficult trials, The Secret to Southern Charm is a romantic, believable, and deeply satisfying reminder that sometimes second chances are the best of all." "If you loved the first book you will love reading about what's next for the women."